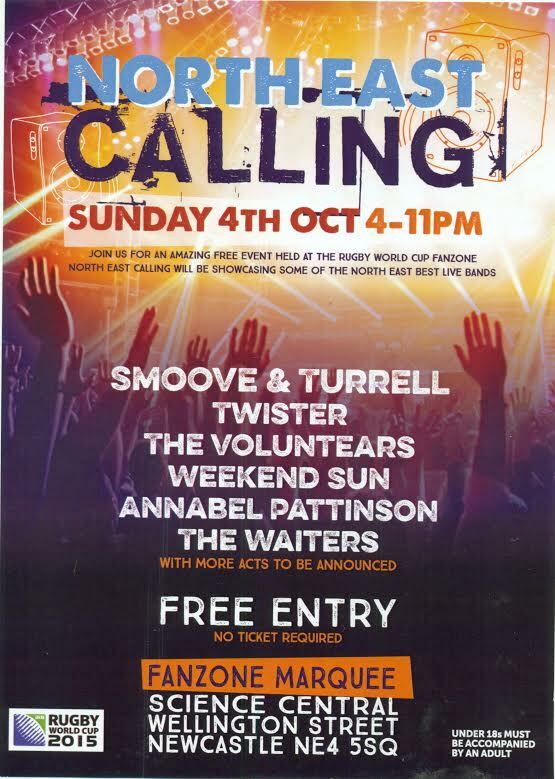 North East Calling is a free event – no ticket required – beginning at four o’clock. Many up-and-coming bands are on the bill and it is Smoove & Turrell who will close the show finishing up by eleven. Gateshead lads, the band tours the world spreading the word. As any Hoochie Coochie regular will tell you, Smoove and Turrell know how to party. John Turrell’s soulful voice has won plaudits from national radio soul DJs and jazz fans know all about bass maestro Andy Champion. Rugger or not, the Fanzone is the place to be on Sunday 4 October! There’s plenty of beer on tap, and for the energetic, a temporary 3G mini rugby pitch has been laid complete with temporary seating so that you can give it – rugby – a try (no pun intended). Fairground rides are now on site with a ferris wheel so big it can be seen from the moon. The caterers are gearing-up to offer a humble burger to rugby style posh nosh. You don’t need to be a rugby fan, you don’t need a ticket, just turn up and party – Sunday October 4.